While gear couplings are a well proven and highly leveraged technology, they are a metal-on-metal torque transfer wearing type of solution. 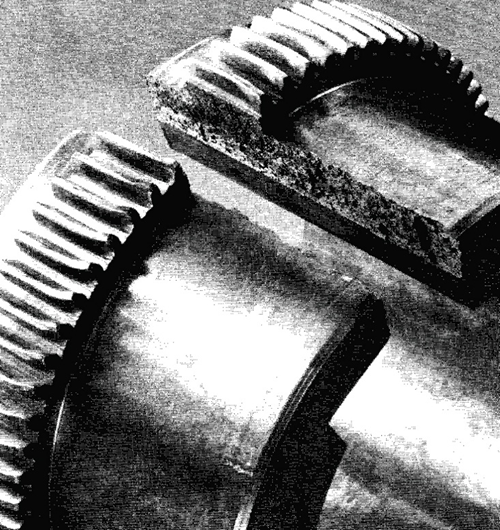 Proper lubrication will greatly extended the life of a gear coupling, but it will still eventually need to be replaced. 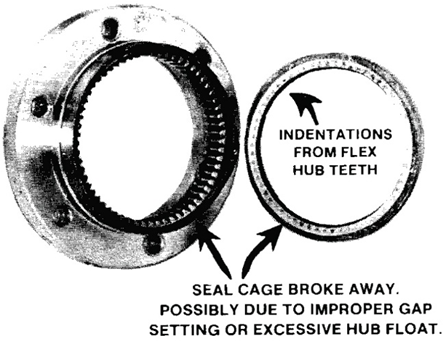 Evaluating gear tooth wear and being able to root cause and address coupling failure are both critical to ensuring maximum reliability and up-time for a given mechanical power transmission system. 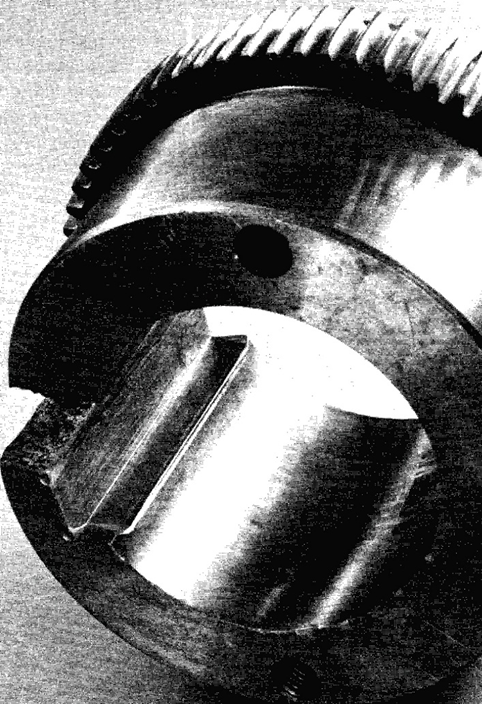 Fortunately, gear couplings often provide "signature" failure modes that can be quickly identified and diagnosed. 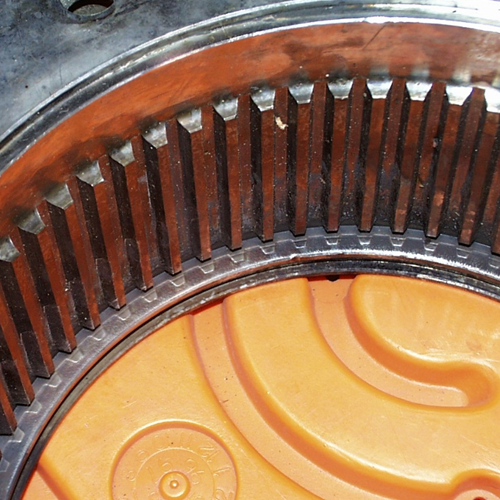 Common causes of wear or failure include normal wear (again, gear coupling teeth are designed to wear over time), lack of lubrication, torque overload, misalignment, fatigue (of flange or bolt), and thrust loading (sleeve seal end rings). Normal wear is generally characterized by tooth wear localized primarily to the center of the teeth. If your system has been running reliably for some time, and you've properly lubricated it the entire time... you can expect to naturally see this type of wear to occur. 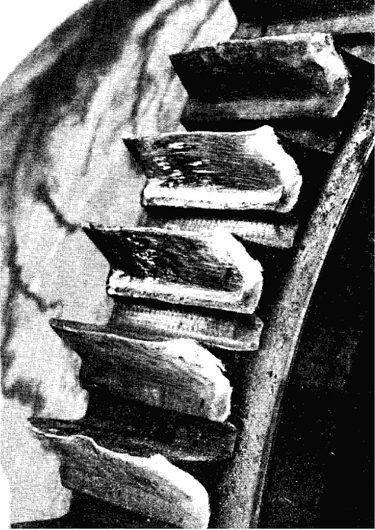 Lack of lubrication may look similar to normal wear, but the tooth wear will be greatly accelerated relative to a properly lubricated coupling. If your gear coupling teeth look like those pictured at right and below after a short amount of use, you have a serious lubrication issue. 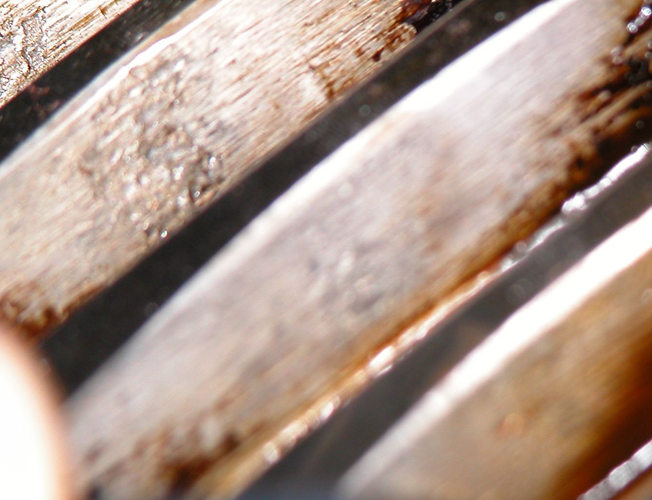 You may be using the wrong type of lubricant, have a seal issue, or may have forgotten to use lubricant at all. If there is a peak torque overload that the coupling cannot handle, the most likely failure mode will be a coupling hub burst or crack over a corner of the keyway. 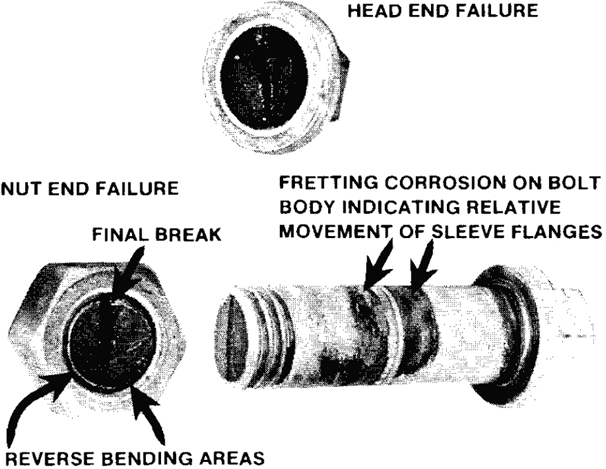 Failures are common at this location because it is generally the weak point of the coupling hub (with the least amount of material to carry the load. 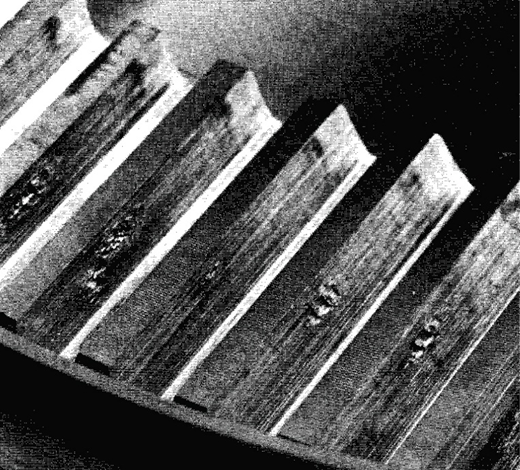 Fatigue failures are typically due to high start-up or impact loads, typically in combination with reversing or highly fluctuating loads. In these situations the joint may undergo bending fatigue. This type of failure can also be caused by insufficient fastener torque. When presented with excessive thrust loading fractures of fasteners can occur. Such fractures can also be the result of high misalignment, and tooth contact patterns can often be seen on the end rings (as seen in the two pictures below). If you have any further questions or concerns with diagnosing or troubleshooting a gear coupling failure, please do not hesitate to visit the Lovejoy website or contact a Lovejoy application engineer.